Beautiful things come in small packages! 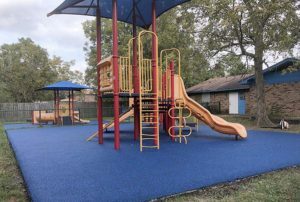 No Fault partnered with Jefcoat Recreation to provide our No Fault Safety Surface in a stunning blue color for Edna’s Child Development Center in Gulfport, MS. Safety and beauty combine to make this a very appealing place for kids to play. 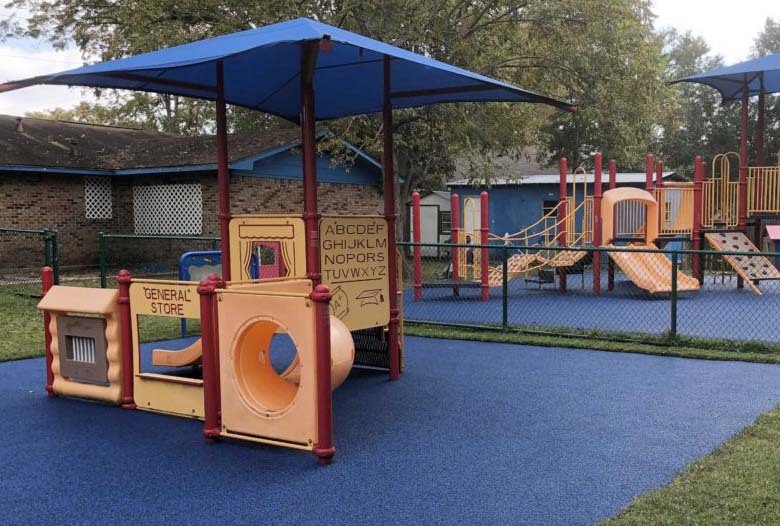 The attractive Miracle Recreation play equipment provided by Jefcoat has a clever “general store” theme along with the letters of the alphabet to spark children’s imaginations and set the stage for learning. At No Fault, we always strive to make our customers happy! We want you to love your new rubber surfacing, and enjoy it for many years to come. Please contact us so we can help you plan your next playground project, whether large or small!